In their teaching ministry, Precious Blood priests, brothers and lay associates enrich the lives of young people with their commitment, compassion and expertise. They share their gifts with young people and instill in them a love of learning. They demonstrate for them the value of a life spent in service to others. As all teachers know, each age group presents its own joys and challenges to teachers. Fr. Bill Stang, C.PP.S., who has been in ministry in higher education for more than 40 years, always enjoys the process of helping college students mature from green freshmen to graduates who are ready to take on the world. 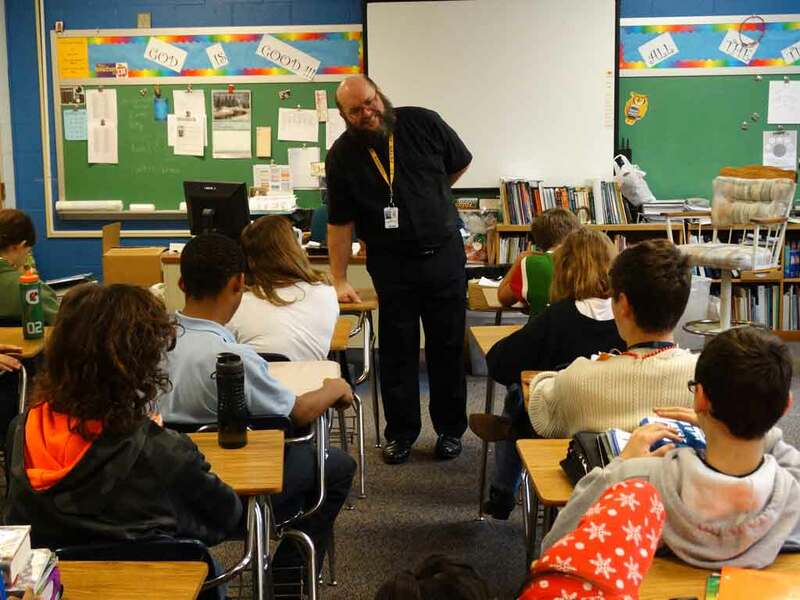 Helping out a little earlier on the human learning curve is Brother Tim Cahill, C.PP.S., who found his dual vocations as a religious brother and as a middle school teacher. Not that it’s always easy. “My first year of teaching eighth grade was rough. I wasn’t sure that this was where God wanted me to be,” Brother Tim said. “Then I had an epiphany. I realized that they were no different than I was at their age. And when I was their age, my teachers guided me.